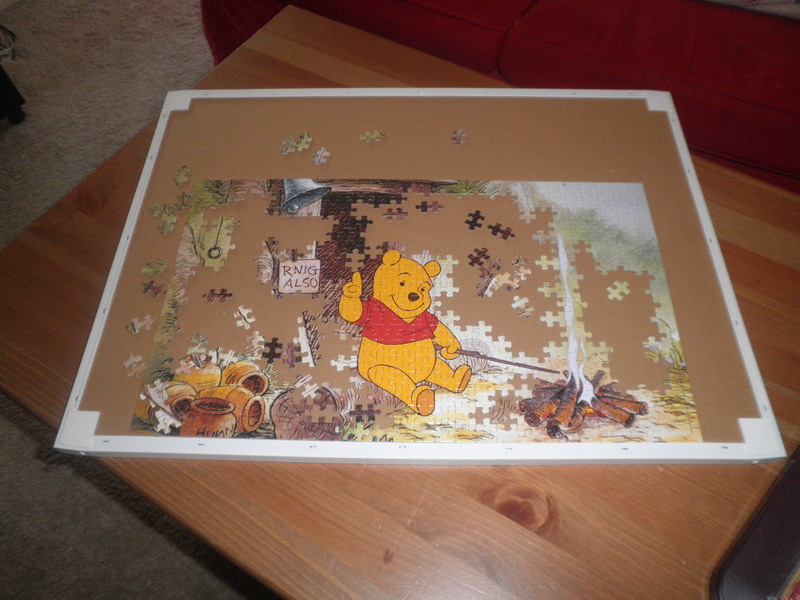 There were times when my kids were younger that we would go through spurts of game playing and puzzling (meaning putting those puzzles together). It has been a long, long time since multiple Scrabble games have been played as well as multiple puzzles being put together. Until about two weeks ago. You see in my living room, like most living rooms I would imagine, there is a coffee table. A couple of weekends ago we had sons recovering from poison ivy, a daughter recouping from a car accident, and it was hot outside. Over 100 degrees for a few days in a row, so some indoor activities were in order. We bought a box of assorted puzzles for our grandson, and his aunties and uncles proceeded to help him put them together on the coffee table. As the puzzle was being put together the kids came and went putting a few pieces in here or there, and then someone else would come along and do the same thing. Before we knew the puzzle was put together and it was on to the next one. The same thing happened with our Deluxe Scrabble game on the turntable. It got set out on the coffee table, and a game would come together, someone would announce their winnings, and then another game would start!! Remember all of the kids except my grandson are over 18, and mostly in the college crowd. It occurred to me that this is a great way to have some fun, hang out with the crowd, and have some great conversations with a different group for each game or puzzle. And I realized it was a great was to get everyone to join in at one time or another. 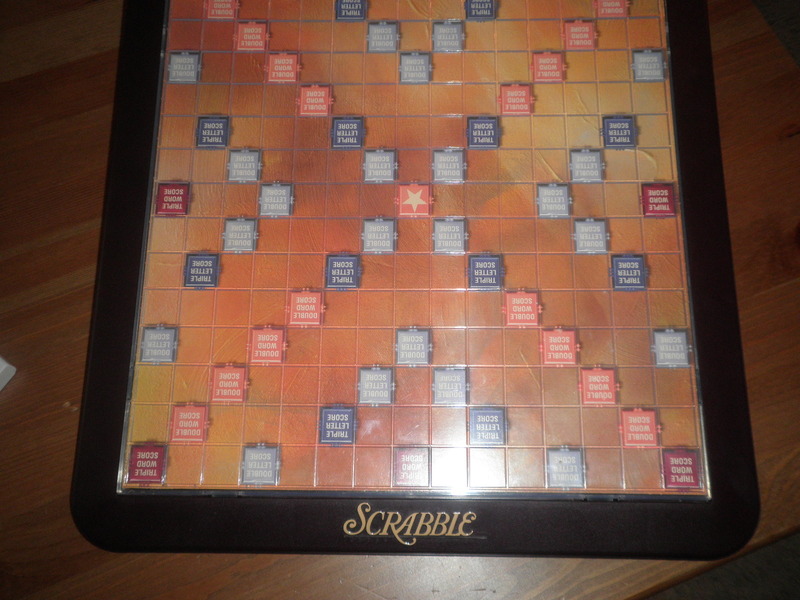 So, the next time we host a party, and we have been known to host many parties, the Scrabble game or a puzzle will be left out on the coffee table to invite some great conversation, great game playing, and some good ‘ol friendly competition.